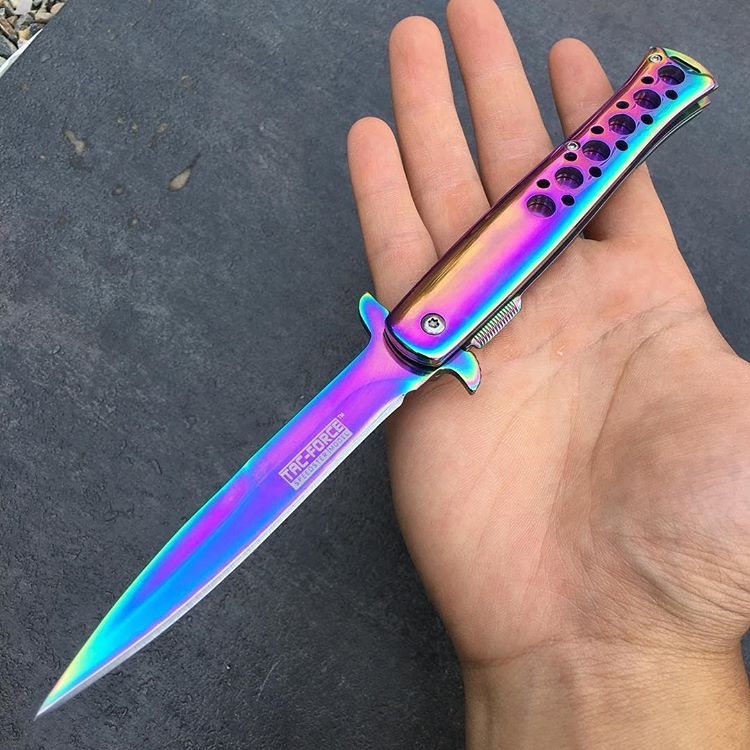 KnifeBox Rainbow 5" spring assisted knife :: This flashy knife is fully coated rainbow titanium. This blade measures 4.2" long with a 3mm stainless steel blade. Measures 5" in length and includes pocket clip. Yet another awesome one of our spring assisted knives!